Her comb was too red. Her waddles were too waddly. Her eyes were too yellow. The bullying started when she was a pullet. 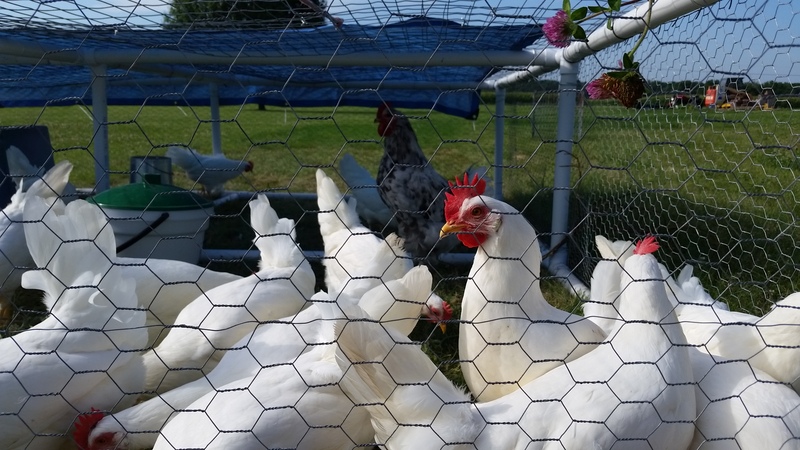 At first, poor Blue thought the other hens were just playing with her. A little rough-housing never hurt a hen, right? Then, she saw a few of her ‘sisters’ sharpening their beaks using rocks, wood and even the tin side of their feed bucket. She went to the head rooster, Pecky Greenleg, but he just ruffled her feathers and told her she was imagining things. Every morning, the others would wake her up with a sharp jab to the neck. While she was getting a drink of water, they would pull at her tail feathers. While she bent her head to eat, they would pick at her comb. Then one day…things got much, much worse. A gang of 10 hens attacked her as soon as she walked toward the food. There was no where she could run, hide or escape. 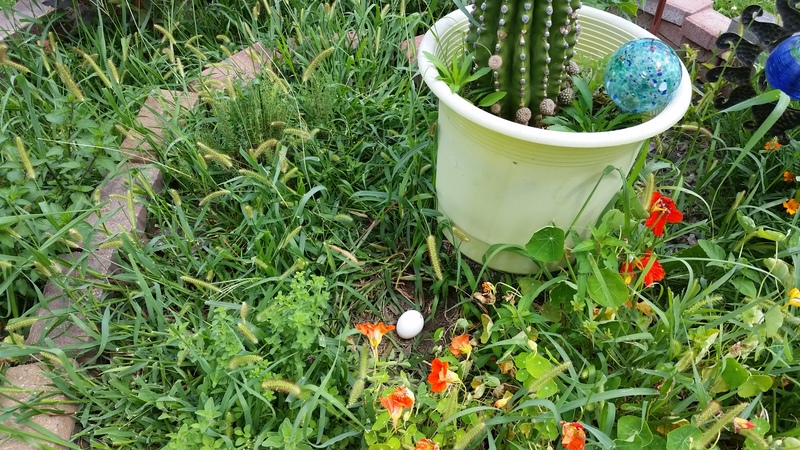 She was trapped until “the keeper” came out to collect eggs. Her wound was so wretched that she got the treatment. A blue spray that was supposedly meant to heal and soothe drenched her head. She was in pain and, to add insult to injury, she felt ridiculous. The Keeper tried to put her back in with the others. But Blue did everything she could to avoid that fate. The Keeper won’t make that mistake again. Now, she has her own little cage. She sleeps in it at night and gets to roam around freely all day. Her head wound is healing and she even has a few feathers growing back. 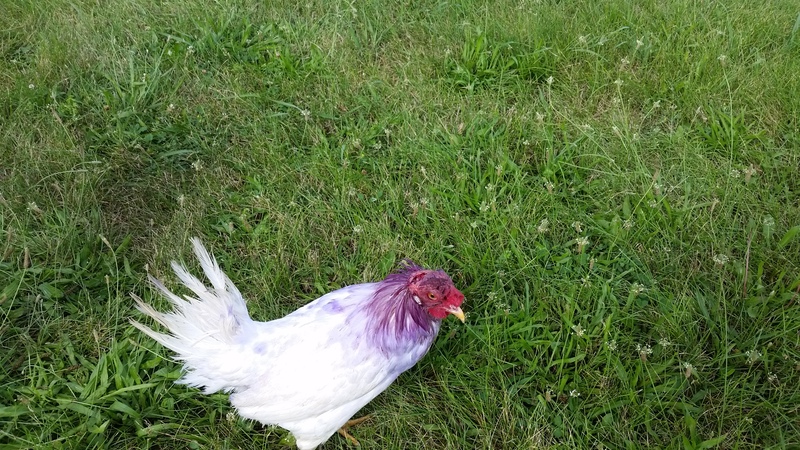 Sometimes, she runs around and around the big pen and laughs at the others. And sometimes, she rests in the herbs or forages in the garden. She’s getting used to the Keeper. In fact, one day she decided to leave the Keeper a present in the herb spiral. 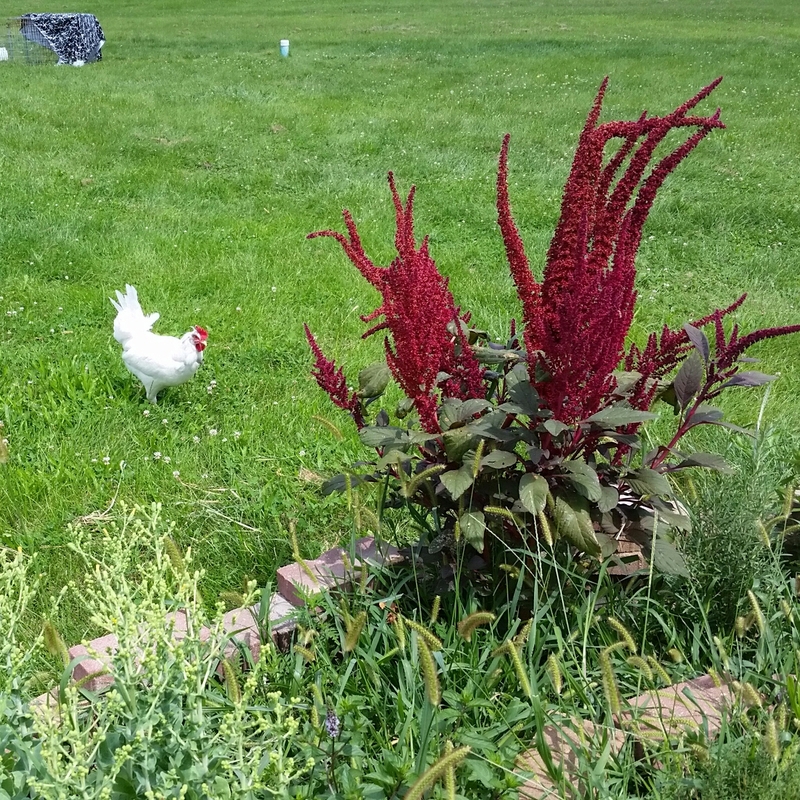 This entry was posted in Chickens!, Garden Stories, Haiku, Life, The Chicken Wars, Writing. Bookmark the permalink. Been there for sure! This happens once in awhile by us too. Why? Who knows! Next time you have a hurt bird try Vetricyn instead. I mighta spelled it wrong, but anyway it’s available at feed stores. No staining, and it doesn’t burn like blu kote does. Works great! Oh no! I didn’t know it burned. Poor girl. Thank you for the tip!